Spring is finally here! Flowers are popping up and butterflies are coming out to play. 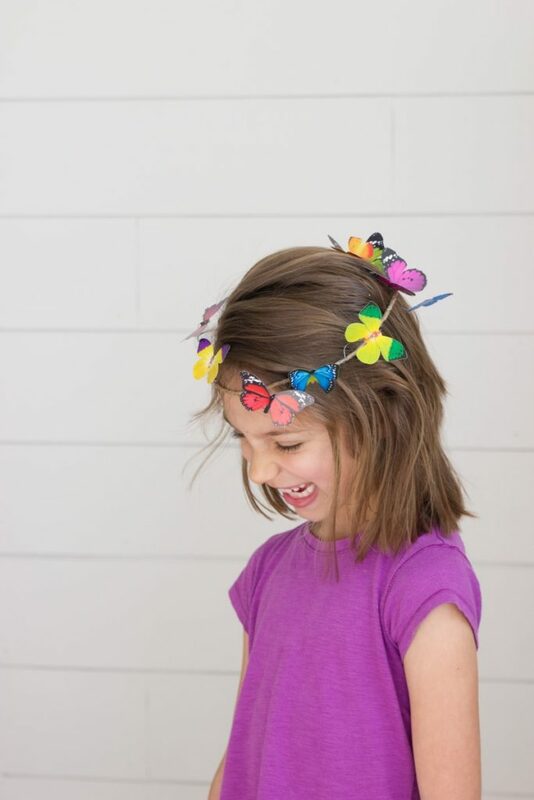 We love flower crowns to celebrate spring, and decided to try something new for our homeschool handcraft fair. 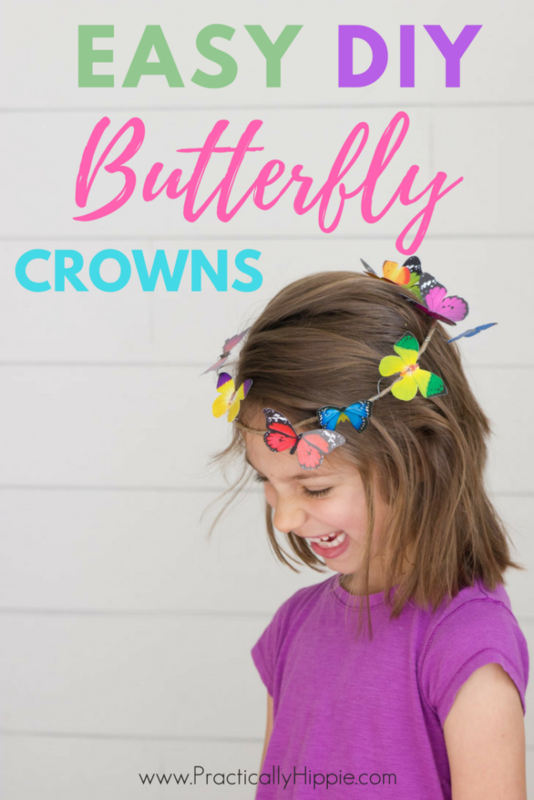 These simple DIY butterfly crowns were so easy to make! My 6.5 year old was able to complete the whole project by herself with minimal assistance. We’re kind of obsessed with the whimsical look! See how we made them with this quick and easy tutorial. 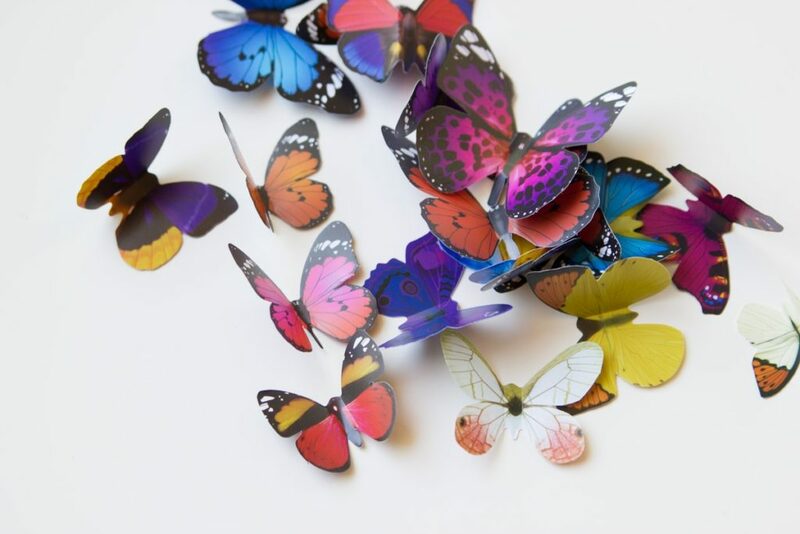 If you use the butterfly sticker kit that we did, the butterflies come on a perforated sheet that you’ll need to punch out. They’re only connected by a few points so they are very easy to punch through. They’re a coated material that feels almost plastic, which is nice because they are not super fragile for little hands to work with. 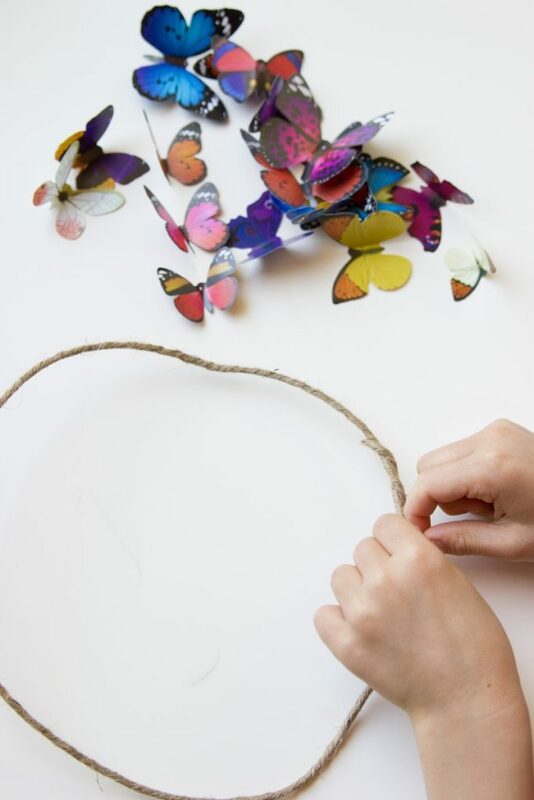 Next, you’ll fold the butterfly wings along the scored lines to make them 3D. Our kit had 80 butterflies and this whole process took my 6 year old and 3 year old about 10 minutes to do. It comes with stickers to attach them to the wall, but we didn’t use those for this project. These butterflies had great reviews, but I was still surprised at the quality. The colors are vibrant, and there is a great selection of different sizes and styles. 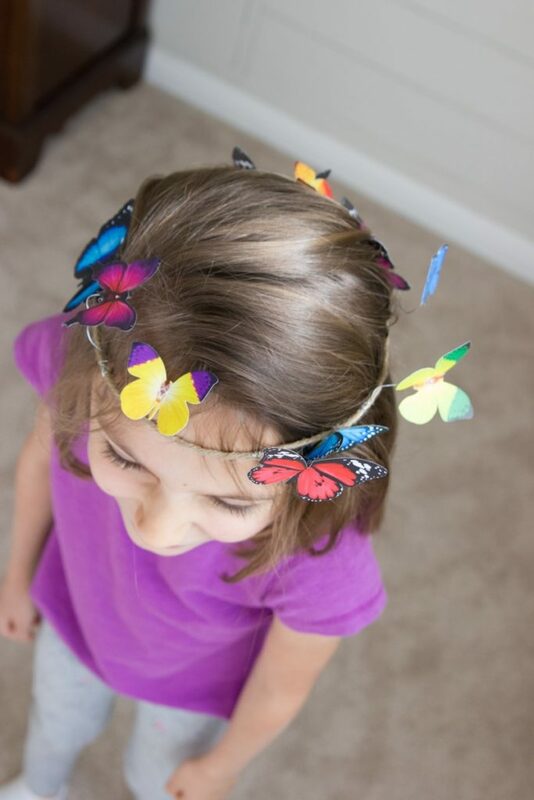 We were able to make five DIY butterfly crowns with the 80-piece kit. 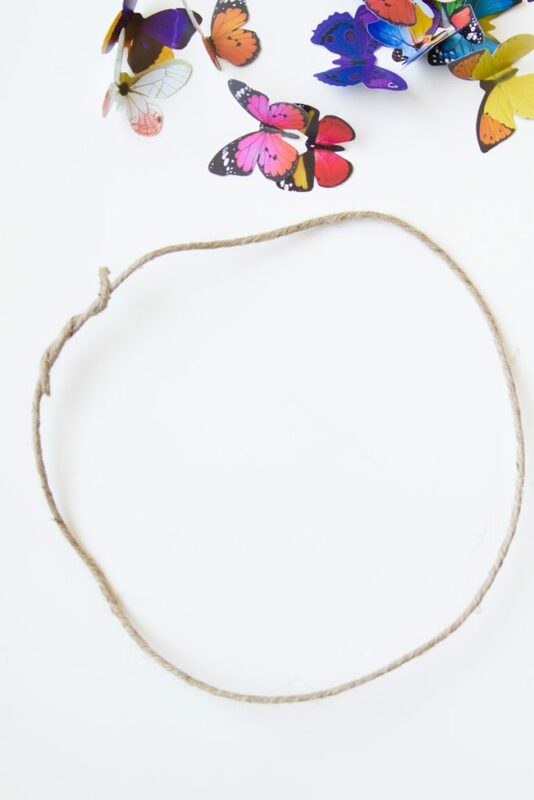 Then measure and cut the bound floral wire to size. I like to leave a little extra because you can always adjust it later once it is on the head. My 6 year old learned the important lesson of “measure twice, cut once” during this step! Bring the ends together to form a circle. Twist the ends to close. 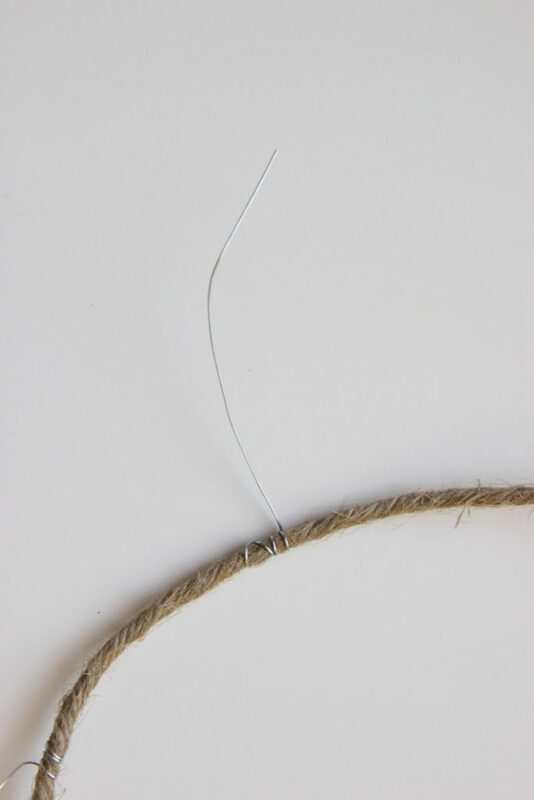 Next, cut a 2-3 inch section of plain floral wire. Twist one end around your crown to secure it in place. 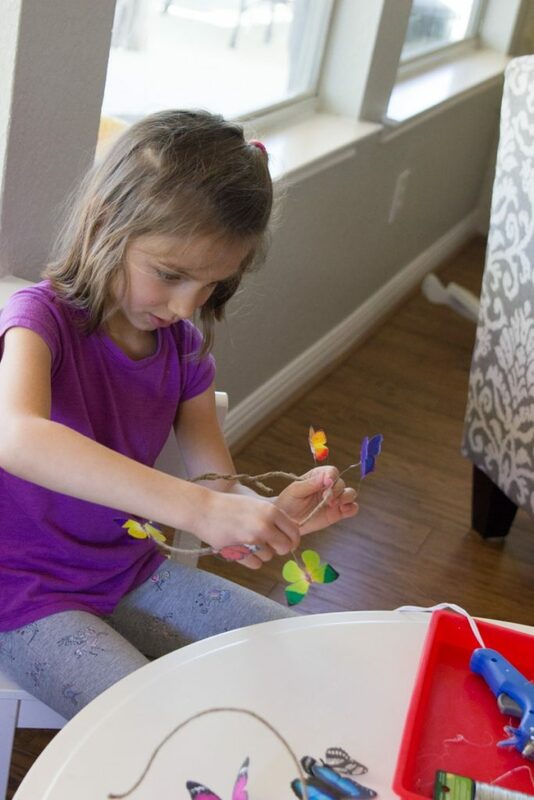 Then, use hot glue to attach a butterfly to the end of the wire. 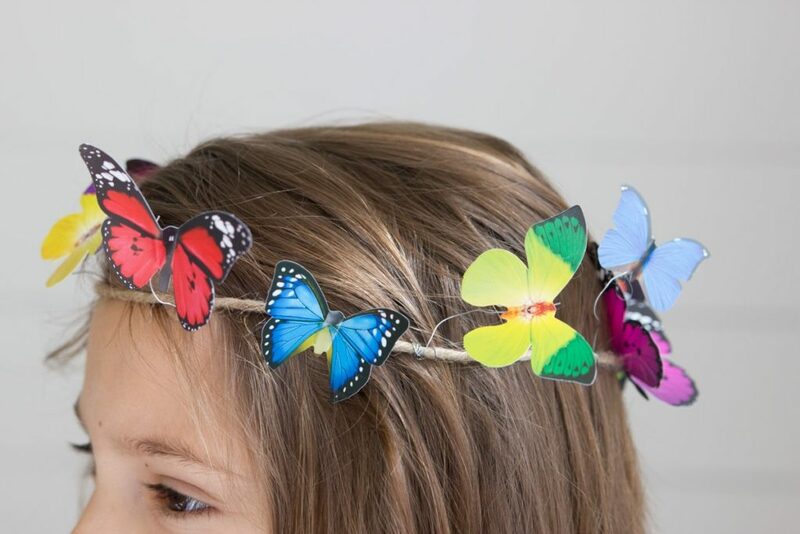 Continue this process until you have wired and glued butterflies all around your crown. 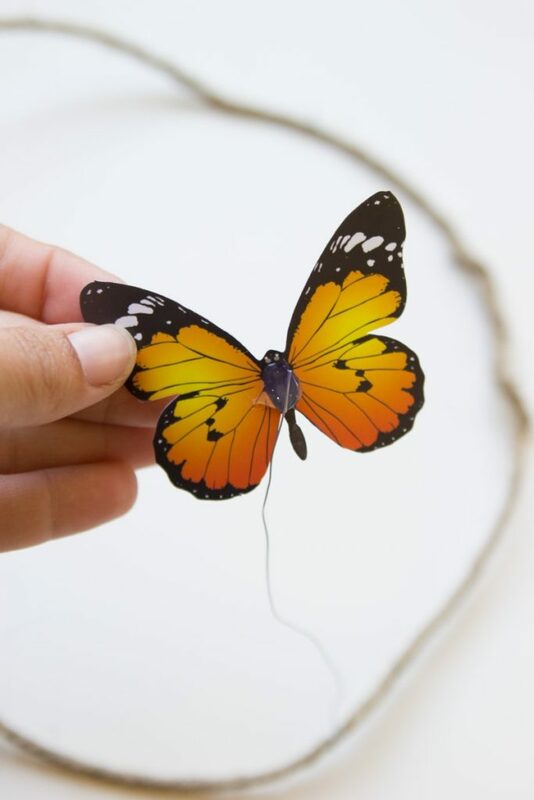 You may want to glue a few butterflies directly onto the bound wire like we did. 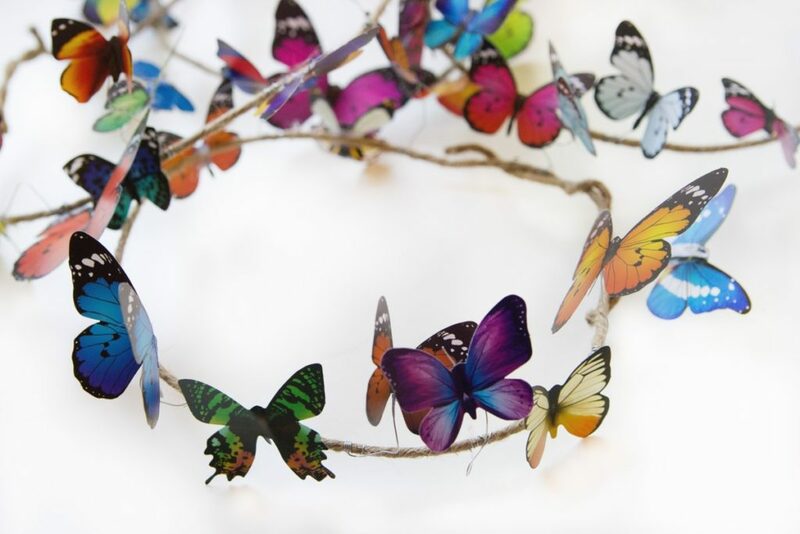 Bend the wired butterflies to achieve a more natural look. 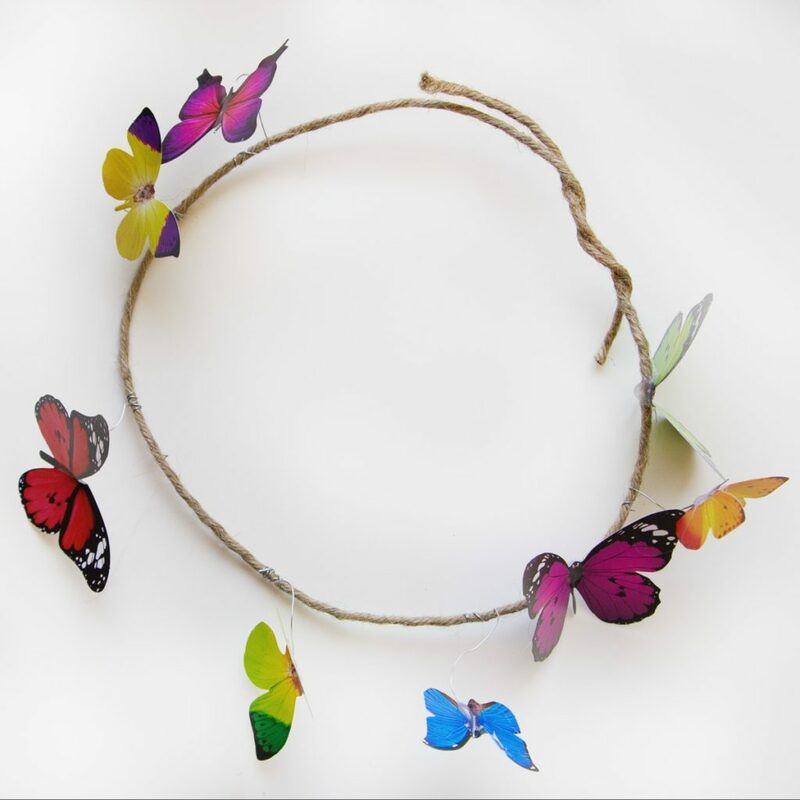 And that’s it…enjoy your simple DIY butterfly crown! If you try out this project, I’d love to see it! Tag me on Instagram or on Facebook to share!